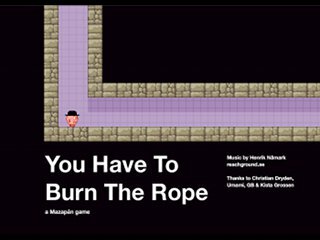 The time of release is immaterial, all that matters is that you have to burn the rope. Best time: 0:00:33 by Bart 'TheVoid' de Waal on 2009-02-11. I have to write the comments. You have to watch the run.